A $150,000 B.C. 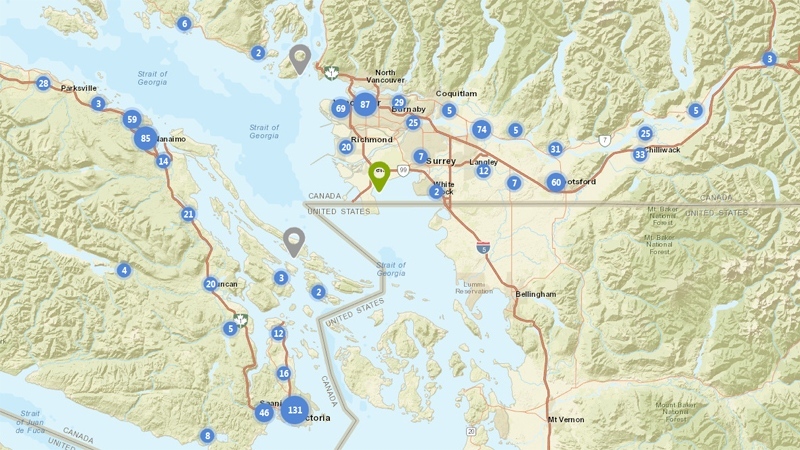 government online map that is supposed help families find needed child care spots is advertising spots that aren’t there, according to a CTV News investigation. CTV News checked a sample of Vancouver daycares the site said had spaces for a two year old, and found only a fraction actually did – a setup that is sure to waste time for parents desperate for help, said child care advocate Sharon Gregson. “The people who put the map together had good intentions but it’s hocus pocus,” said Gregson. “It’s trying to do something about our child care crisis without spending any money. “It’s backwards, it’s out of date, and for parents it’s not going to be very helpful,” she said. “Now, for the first time, parents have access to all the information they need on one screen,” Minister of Children and Family Development Stephanie Cadieux said at the time. The green icons on the map show day cares with spaces available, and the grey spots show where the facilities are full. The ministry claimed in an email that vacancy information is automatically updated each month from the Child Care Capital Operating Funding program, and that providers can update their vacancy information with a 24-hour delay. At least that’s how it’s supposed to work – CTV News called a sample of 20 Vancouver daycares the website said had a spot for a two year old. Only four of them actually did. One operator said that the map was accurate – just out of date, because the spaces had been filled recently. Another said she was frustrated because she had been trying to update her daycare with the ministry but had received no response. Another said she believed the government was just making up the incorrect vacancy information on her daycare – because no one had asked her. But across the Fraser in Surrey, every single daycare called by CTV News said the map was accurate. The B.C. Government didn’t reply to inquiries about that discrepancy by press time. It’s frustrating for parents, said Hanh Allbutt, who remembers clearly the difficulty she had finding a space for her daughter. “I was pretty stunned. Your chances are next to nil,” she said. Gregson said she believed the website was as behind as Child Care Operating Fund reports, which may be as old as April. The NDP’s Melanie Mark told CTV News she believes the government isn’t continuing to maintain the website. “Unless you’ve got someone making sure the numbers are accurate, you can expect there’s going to be people facing dead ends,” she said. Mark said a better solution for parents would be to increase the number of spaces, which the NDP is proposing to implement via a $10 a day subsidized child care plan. Over 1,800 new daycare spaces coming to B.C.